Ships free! 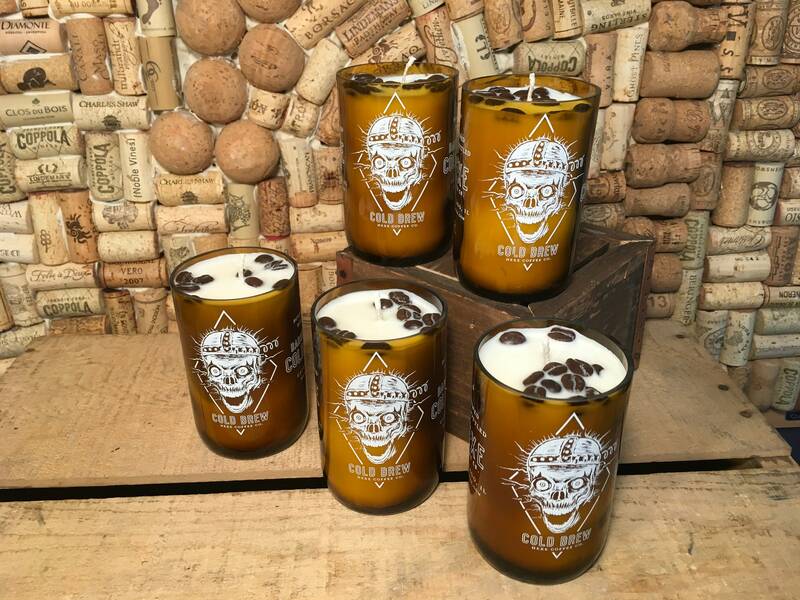 Chicago's own Hexe Cold Brew Bourbon Barrel Aged Bone Shaker bottle with a Soy Hazelnut Coffee Candle. I have five available. It is filled with premium soy wax in our Hazelnut coffee scent. This fragrance has top notes of strong coffee, middle notes of toasted hazelnuts, and base notes of butter and vanilla. Mmmmmm. The cotton wicks we use are also self trimming. 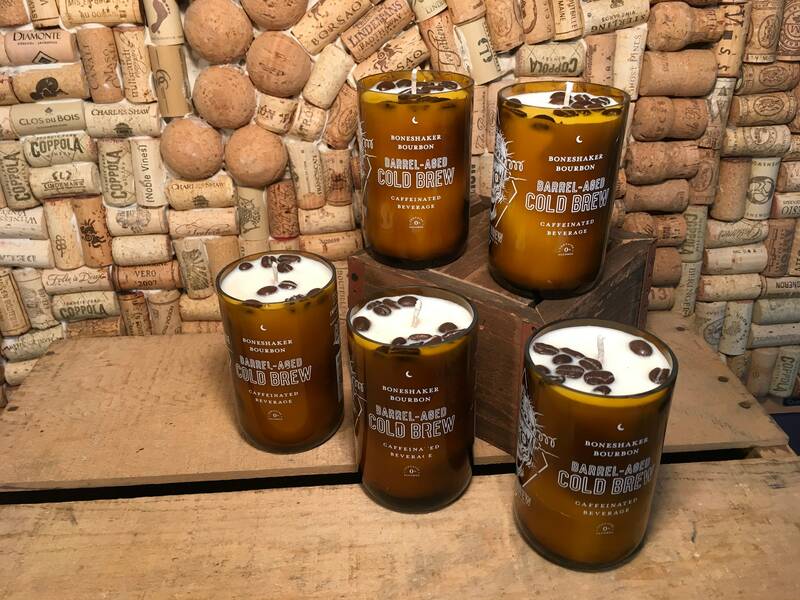 These have coffee beans on the top of the candle. This will burn for 20+ hours! Check out our non alcoholic bottle candles in the "other bottle candles" section of our shop. We ship on Mondays and Tuesdays. If you would like to pay for expedited shipping please message us first for availability.